There are various ways to attach S.Meter to uBITX. You can find things on the Internet that are far superior to what I have created. Capacitor and Resistor have different display type of S.Meter depending on values. The larger the capacity of the capacitor, the slower the S.Meter moves from High to Low. I used 1.5nF (152) because I need to move quickly for testing. 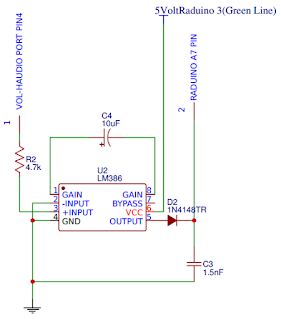 It is the simplest model of the LM386. 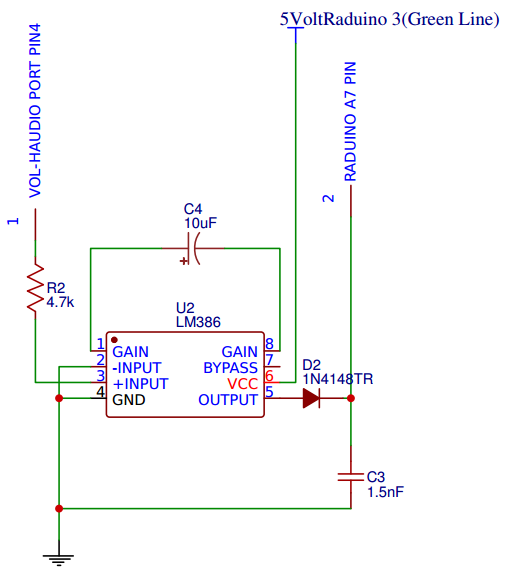 The reason for choosing the LM386 is because it is cheap and the operation is reliable. You will be able to buy at an internet shopping mall for less than $ 0.2. Maybe you can find some of them around you. I was able to find some around after ordering the LM386 to Aliexpress. I did not use a PCB because it was a simple circuit. 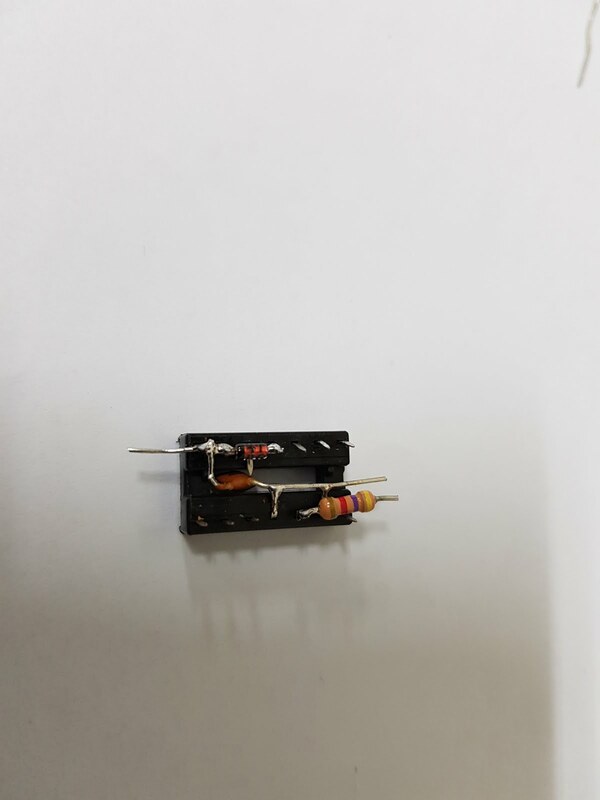 It is decided to attach directly to IC socket. Minimal operation is possible by attaching only two parts like this. Finally, one resistor is added. S.Meter sensor make is over. Now you can mount it in uBITX. 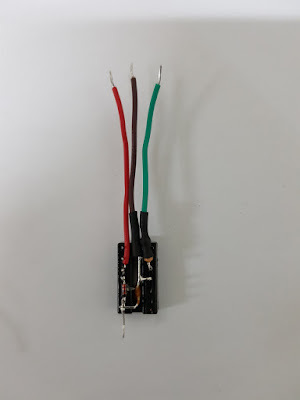 There are several places to connect GND to 5Volt. Pin 3 (Green Line) is 5 volts at the Raduino connector. Pin 4 (Yellow Line) is GND at the Raduino connector. Pin 1 (Purple Line) is A7 at the Raduino connector. It is better to refer to below. After all connections are completed, set the following. 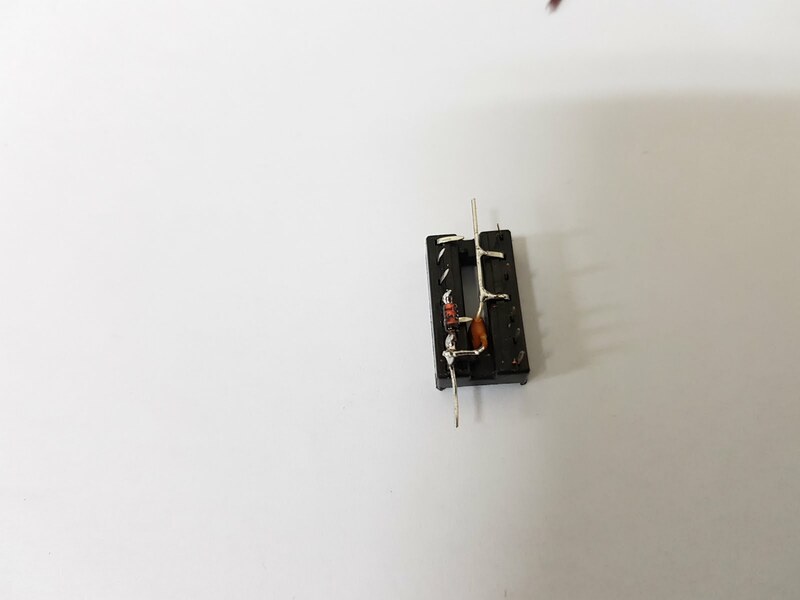 The following is recommended for the LM386 circuit with a 10uF capacitor added. There are many ways to create S.Meter sensors. Posting here is just an example I used. 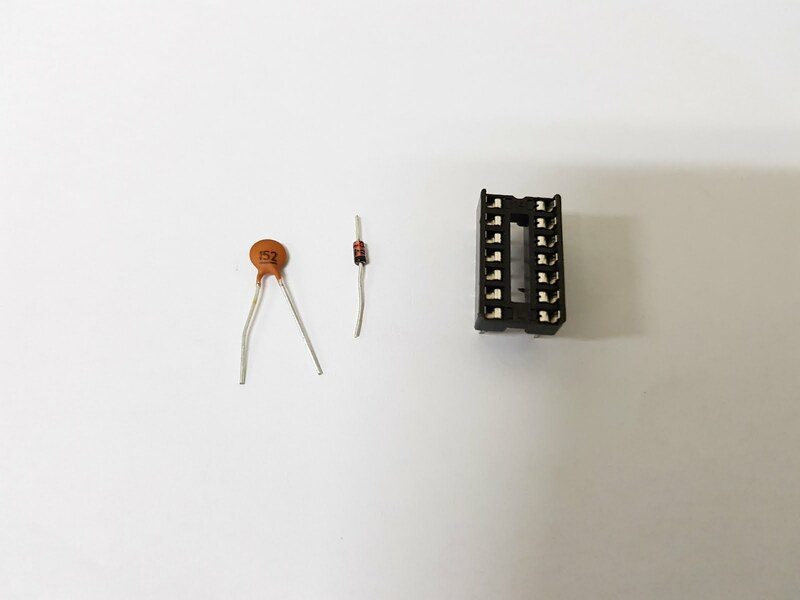 In uBITX, the voice signal is more than 0Volt, so the number of parts is reduced. You can add your own parts to this circuit. 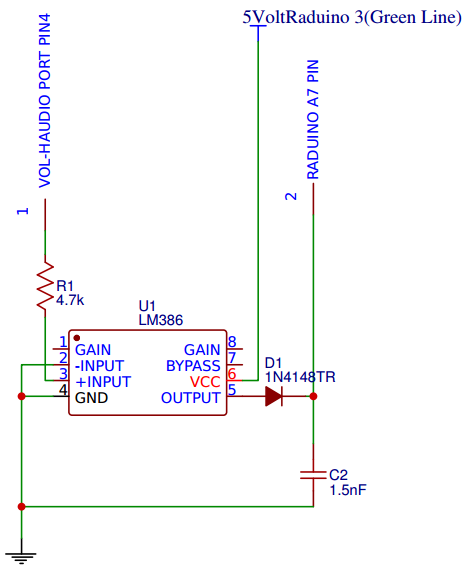 Note that the Arduino should have enough current to use the ADC. I'm working on a deployment right now. S-Meter now calibrated from S4 to S9+20 in 10dB steps. 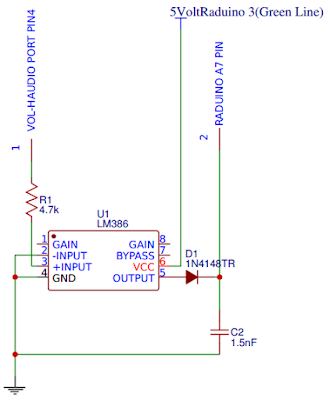 Using my own AGC circuit, ADC values 0 at S4 thought to 98 at S9+10. S9 being 73dBM. I have not installed the AGC yet, but I am going to install the ND6T AGC. 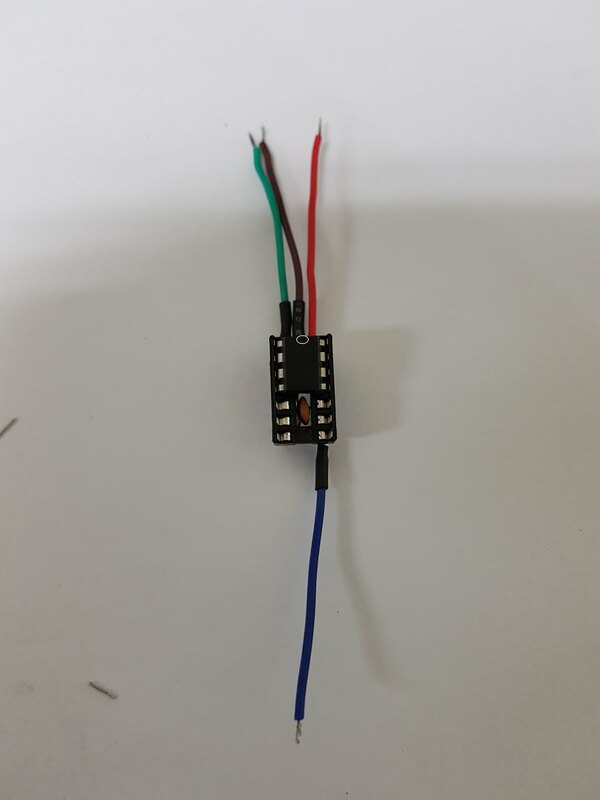 if using lm386 module, perhap we very simple added S-Meter to uBITX. this is very easy way. Where do you guys get parts from for these little projects? Thank you so much for sharing these modifications. I saw you latest blog on making an S-Meter and you had mentioned using the LM386 and I was hoping you would share that information. Didn't know you had done one. I plan on making one here as soon as I get my enclosure completed. Again thanks for all the great things are doing with the uBitx! !